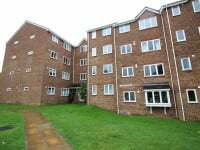 Connor Prince are pleased to offer this refurbished one double bedroom first floor flat with a fitted kitchen with appliances and white bathroom suite. 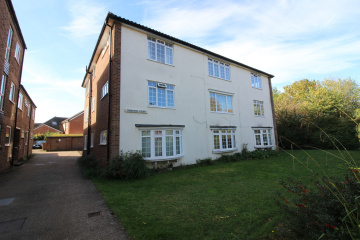 Situated in a residential road close to North Cheam's shops and bus stops which connect you to Sutton, Worcester Park and Morden town Centre with its Northern Line tube station. Night storage heater, built in cupboards, one housing hot water cylinder tank. 16'3 X 15'9 Double glazed windows, feature fireplace, night storage heater. 6'8 X 6'7 Fitted with a range of high and low level cupboards and drawers, roll work top surfaces, inset single drainer, stainless steel sink unit, double glazed window above, fitted electric cooker with extractor fan above, fitted washing machine and fridge/freezer, tiled flooring, part tiled walls. 11'4 X 10'3 Double glazed window, night storage heater, built in large wardrobe cupboard. White suite comprising panel enclosed bath with mixer tap and shower attachment, pedestal wash hand basin, low level W.C., part tiled walls, double glazed frosted window.